If it’s a step up to your truck that you’re looking for, you’ve come to the right place for nerf bars. We’ll gladly assist you in finding a bar that matches the style of your truck and our expert installation professionals will make sure it’s seamlessly installed for your convenience. 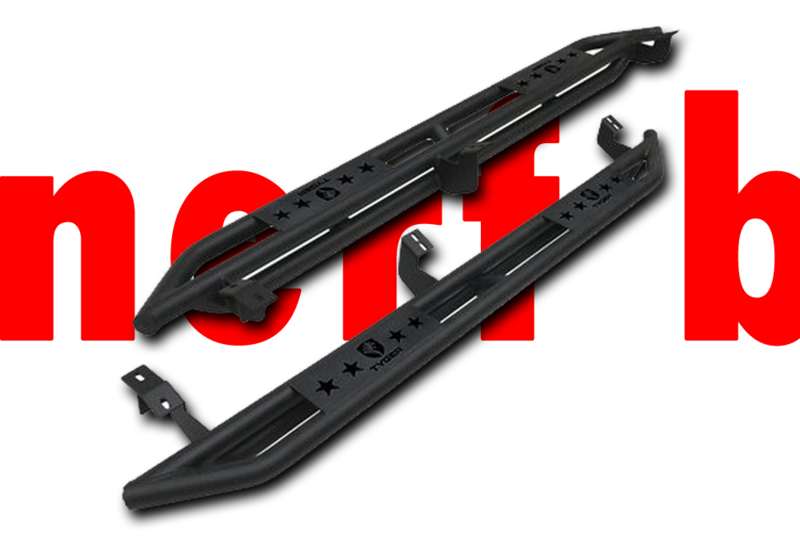 Available in a variety of materials including steel and aluminum, polished, gloss black, and matte black finishes, as well as diameters from 3 to 6 inches, nerf bars are a great addition to any truck or SUV. Whether you've got a low-rolling midsize SUV or a monster truck, you could probably use a solid step beneath your door for an extra boost when you need it. Nerf bars and running boards can be a welcome sight after a tiring day at the job site or an energy-sapping stint at the office. Think of your other riders, too. The sturdy stepping place provided by a set of nerf bars or running boards is a great measure of safety and peace of mind for your younger or older passengers. Side steps also boast incredible weight capacity. The typical set of nerf bars can hold 300 lbs or more at a time, supported by the steel construction and heavy-duty frame mount brackets. Most running boards boast an aluminum support frame beneath the stepping surface, giving these side steps a weight capacity of up to 500 lbs. 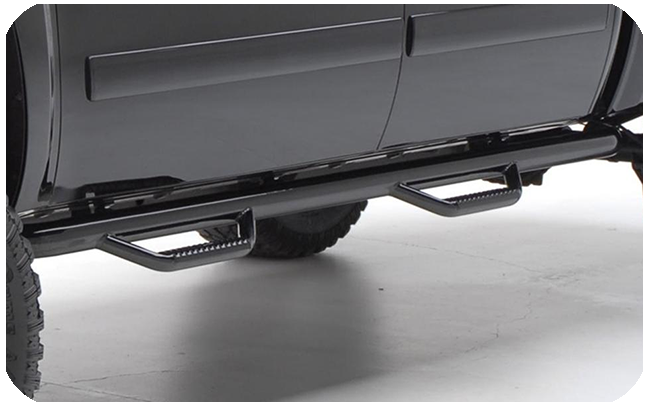 If you have a truck or SUV, you could probably use a solid step beneath your door for an extra boost when you need it. Nerf bars and running boards can be a welcome sight after a tiring day at the job site or an energy-sapping stint at the office. This all depends on the brand of nerf bars and model of vehicle. Some sets are custom made for pre-drilled slots on your vehicle already, which makes the installation process easy and seamless. While others might require us to drill to mount them securely.